Ships from and sold by Abundant Health. "As health issues become more challenging in our time, every family will welcome the wisdom provided in this valuable resource." "This is the best book I have ever read in my life. I just couldn't put it down." "Most enjoyable. Easy to read. Presents modern-day applications of essential oils as well as their use in scriptural times. A good book for ministers to gain a perspective on anointing with oils. I was amazed at the comprehensive research Dr. Stewart has done." Great Book! I was interested in researching some of the oils found in the Bible particularly the Holy Anointing Oil found in Exodus 30. The fact that the author is both a retired minister and former science professor has given him a unique perspective regarding this topic. 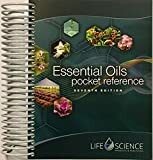 Not only are the properties/uses of the various oils discussed in this book but also the applicable Scriptural references thus providing a very interesting and comprehensive overview of the oils found in the Bible. Many of the questions that I had been wondering about were answered in this book. Truly a fascinating study! 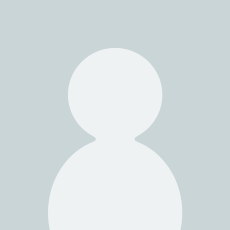 5.0 out of 5 starsThis book is very informative and will change how you think about Oils. I bought this book as a recommendation because I just starting using essential oils. My friend said if your going to use them then you really need to read this book. I sat down and read this book and let me say this book was amazing. 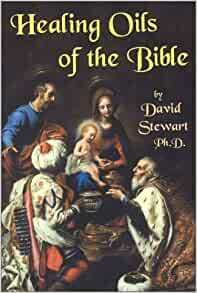 The author shows you all the different places and which oils are mentioned in the bible. The author gives different examples of how oils work and what they were/are used for. He gives biblical reference for where each oil is found in the bible. If you are just starting out on essential oils then I highly recommend reading this book. 5.0 out of 5 starsAmazing!!!!! This book surpasses what I could have expected, I plan on reading it again and again. What an amazing explanation of oils, supported by scripture and amazing explanation on how oils work in our bodies vs medication. The author did an incredible amount of research and it shows. Highly recommended. 5.0 out of 5 starsGod's natural provision for the health of our bodies, souls and minds. This book is loaded with information that just blows my mind. It is very informative, and I definitely recommend it. Dr Steward looks at the holistic view of medicine using oils to heal body, mind and soul. You don't get that from modern medicine, and he points that out. I learned to be even more amazed at God's creations and what He has done to provide for us after learning this information. I wish I'd known this stuff YEARS ago! I began to realize that essential oils were more than just a fad, they used to be a way of life in the Bible and days gone by. This book explains that beautifully and stirred my interest and my faith in the products. One of best books out there on essential oils. Included documented research results as well. Great book. I give it as gifts to my friends who use essential oils. 5.0 out of 5 starsthwen this is excellent. If a person needs to pursue healing and health with natural means, thwen this is excellent. 5.0 out of 5 starsfilled with great info. I have not finished the book, yet, but feel it is exactly what I am looking for. 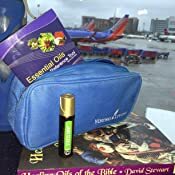 I wanted to know what oils were used in the Bible, and how they were used in Jesus' time. Fascinating book, filled with great info.